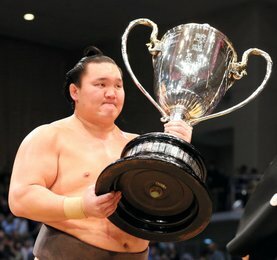 Le grand champion Kakuryu est resté invaincu et continue à dominer le championnat avec sa dixième victoire consécutive. Après une charge solide, Kakuryu a attrapé Okinoumi (3-7) par la ceinture et a essayé de le sortir du cercle, mais son adversaire s’est soudainement tourné vers le bord. 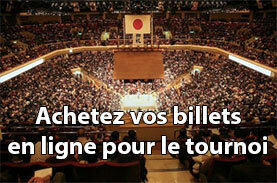 Le seul yokozuna du tournoi a réagi en utilisant l’élan d’Okinoumi pour le retourner et en le poussant en dehors du dohyô. 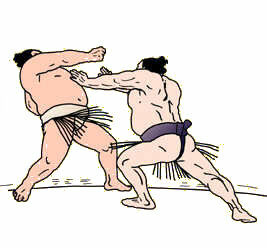 Tochinoshin (9-1) continue de marcher dans les pas de Kakuryu après avoir battu Kotoshogiku (4-6). Le Géorgien s’est montré redoutable après avoir retourné la charge de son adversaire en quasi soulevant les 178 kg de l’ancien ôzeki. 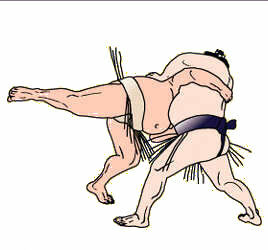 Le sekiwake Mitakeumi (7-3), qui a débuté la journée à égalité à la troisième place, a tenté de repousser Arawashi (5-5) mais a été chassé par le Mongol. Pendant ce temps, Daieisho (8-2) occupe seul la troisième place après avoir sorti Tochiozan (6-4). L’ôzeki Takayasu a amélioré son score à 7-3 grâce à une victoire sur le sekiwake Tamawashi (3-7) à grands coups de gifles. L’ôzeki a terminé le travail tout en force pour s’imposer face à son adversaire. 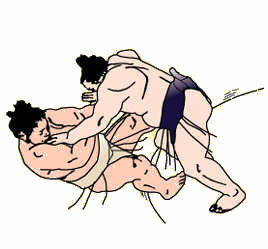 Goeido (6-4) a subi une nouvelle défaite face à Shodai (5-5). L’ôzeki a tenté de se ressaisir après avoir été poussé sur le rebord, mais il a été expulsé en perdant son équilibre. Le komosubi Takakeisho (3-7) a mené une lutte acharnée contre Ichinojo (6-4) mais a finalement été sorti par l’énorme Mongol de 215 kg. L’absence de Onosho (4-6) a offert une victoire par défaut à Yoshikaze. Le komusubi s’est retiré en raison d’une blessure au genou subie la veille par Ichinojo. Neuf lutteurs des divisions makuuchi et juryo se sont retirés du tournoi jusqu’à présent, y compris les yokozuna Hakuho et Kisenosato. Aminishiki (1-6-3), qui a rejoint le tournoi aujourd’hui après avoir manqué les trois derniers jours en raison d’une blessure au genou, a été rapidement vaincu par Chiyoshoma (6-4). Le Mongol Terunofuji, qui s’est retiré au troisième jour suite à une douleur persistante au genou, reviendra demain. L’ancien ôzeki – désormais redescendu en maegashira 10 – , a perdu ses deux premiers combats avant de se retirer. 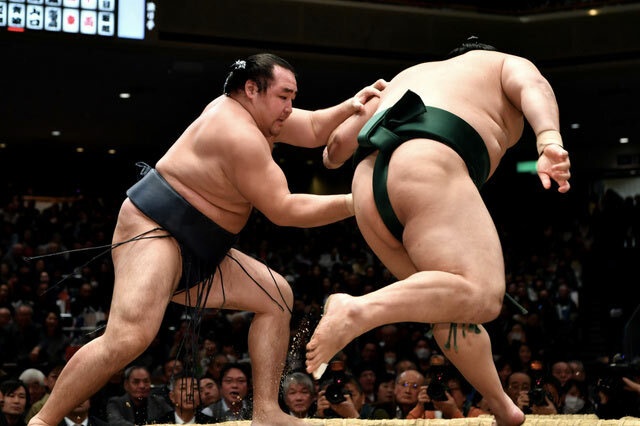 TOKYO (Kyodo) — Grand champion Kakuryu remained unbeaten and continued to dominate the raised ring with his tenth straight victory on Tuesday at the 15-day New Year Grand Sumo Tournament. 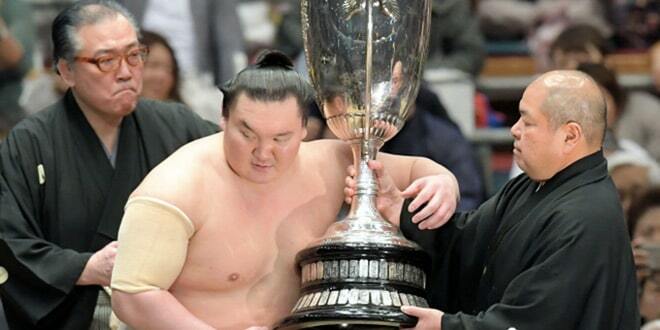 After a rock-solid charge, Kakuryu grabbed No. 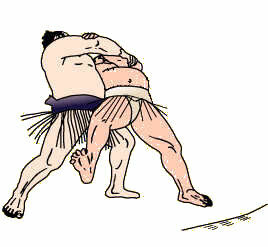 5 maegashira Okinoumi (3-7) by the belt and tried to lift him out of the ring, but was suddenly turned towards the edge. 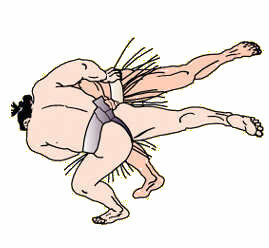 The last remaining yokozuna at Tokyo’s Ryogoku Kokugikan, Kakuryu, overcame the brush with defeat, using Okinoumi’s momentum to turn him around and pushing the off-balance wrestler out from behind. No. 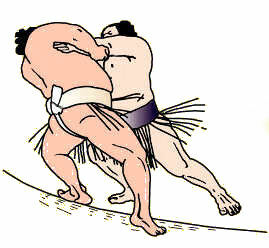 3 Tochinoshin stayed on Kakuryu’s heels after beating No. 2 Kotoshogiku (4-6) and improving to 9-1. 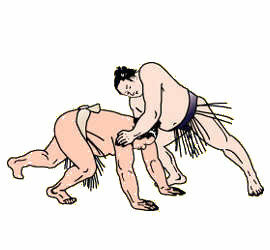 The Georgian proved formidable again after turning around a charging Kotoshogiku, then nearly lifting the 178-kg former ozeki up and forcing him from the ring. Sekiwake Mitakeumi (7-3), who started the day tied for third place, tried to push out No. 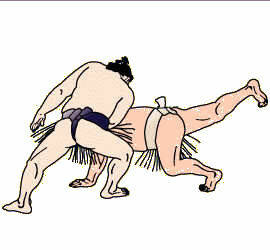 4 Arawashi (5-5) but was instead pulled down by the Mongolian. Meanwhile, No. 13 Daieisho (8-2) took sole control of third after pushing out No. 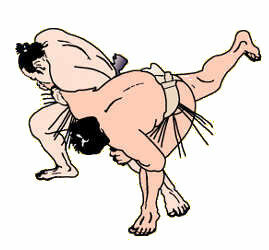 8 Tochiozan (6-4). 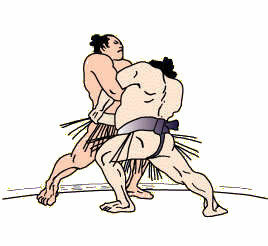 Ozeki Takayasu improved to 7-3 with a victory over sekiwake Tamawashi (3-7) that saw the two wrestlers trading slaps across the ring, with the ozeki eventually forcing the Mongolian out with his 182-kilogram frame. 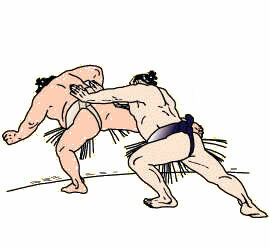 Goeido (6-4) endured another defeat when he was beaten by No. 4 Shodai (5-5). 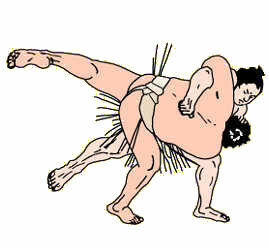 The ozeki tried to recover after being pushed to the edge of the ring, but was caught off balance and forced out. Komosubi Takakeisho (3-7) put up a spirited fight against top-ranked maegashira Ichinojo (6-4) but was ultimately pushed down and out by the massive 215-kg Mongolian. Komosubi Onosho (4-6), lost his match by default after announcing his withdrawal due to a knee injury suffered when he was thrown out by Ichinojo on Monday. It is the second time the recently-promoted komosubi has pulled out of a major tournament, since withdrawing as a juryo division wrestler at the 2015 Kyushu tourney. 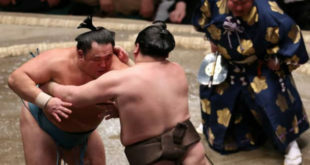 Nine wrestlers in the makuuchi and juryo divisions have withdrawn from the tournament so far, including yokozuna Hakuho and the sole Japanese grand champion, Kisenosato, who withdrew from his fifth straight meet after a regrettable four losses. No. 10 Aminishiki (1-6-3), who re-entered the tournament Tuesday after missing the last three days due to a knee injury, was quickly defeated by No. 7 Chiyoshoma (6-4) on his return. 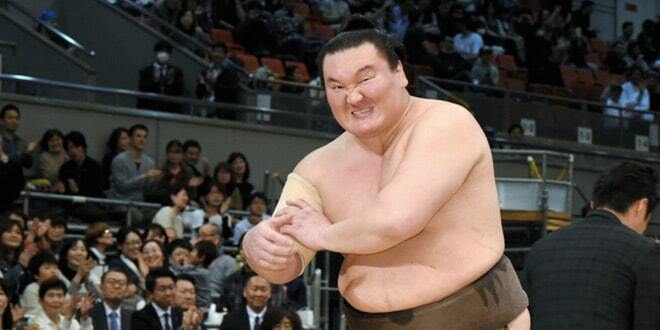 Mongolian Terunofuji, who pulled out on Day 3 due to lingering knee pain that has seen the former ozeki plummet in the rankings, will re-enter on Wednesday. The No. 10 maegashira, who lost his first two bouts before defaulting the third, needs to post good results in his remaining matches to avoid demotion to the juryo division. A la télévision française ? Regardez les programmes de l’Equipe TV, il y en a de temps en temps. En général, on relaie l’info sur notre Facebook.